With the start of the New Year comes a lot of new vape juice flavors, vape tanks, e juice brands, and vape tanks! It absolutely is! Last year was a huge year for the vaping scene considering all of the new and awesome e juice brands that were born. There were so many technological advances on the box mods, and vape tanks side of things! So we can only imagine what 2018 will have in store for us vapers and we cannot wait! One big e juice flavor that everyone loves is watermelon. Watermelon is one of the most loved premium vape juice flavors and a lot of the most iconic liquids in the game have a watermelon variation flavor profile! E Cigarette Empire has decided to make a Best Watermelon Vape Juice Flavors 2018 blog list to just put a face to the picture when you ask yourself, “What are the most loved, the most popular watermelon vape juice flavors going into this year?”. We are sure you will find multiple new flavors in this blog list that you will want to try and all of them are nothing short of all day vapes! Everything featured in this blog list is carried here in our warehouse at E Cigarette Empire so feel free to check out the web page and get a bottle for yourself! Watermelon by Red’s Apple E Juice is a perfect flavor to be on the Best Watermelon Vape Juice Flavors 2018 blog list! This is the newest installment to the Red’s Apple E Juice flavor line from the famous brand Vape 7 Daze. 7 Daze is an e juice brand that has been around for a very long time and had their first breakthrough with the production of Selfie Sunday. Selfie Sunday for a very long time was the most popular fruit flavored vape juice and was the reason for Red’s Apple E Juice to be born! 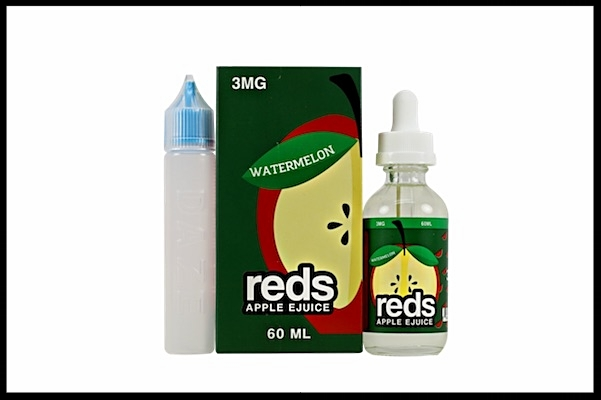 Watermelon by Red’s Apple E Juice has the flavor profile of a fresh and crisp apple juice beverage that has been infused with juicy watermelons. From inhale to exhale your taste palate will be bombarded with spectacular fruit flavors that will have your taste buds tingling like they were just shocked back to life! There are a lot of flavors in the Red’s Apple E Juice line by 7Daze including menthol variations of each individual flavor! They even have a grape version for those grape diehards! To see all of the products that 7Daze has to offer check them out in our e juice brands page and browse around a little bit! If you remember a couple years ago, Cloud Nurdz used to produce 60ML e juice flavors such as Beachy and Brazzy! These were the hottest vape juice flavors back in the day and they have came back for an encore with new 100ML bottle sizes! One of their most popular flavors right now is Watermelon Apple! 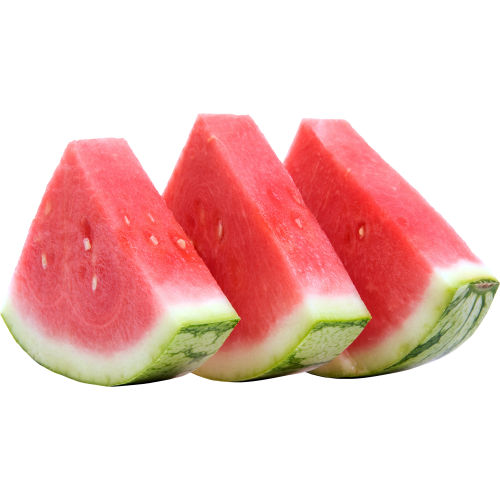 Watermelon Apple has the flavor profile of both watermelon and apple hard candy pieces. This premium vape juice flavor will literally have your mouth drooling like a waterfall. The inhale brings forth a strong sour apple flavor that will have your taste buds tingling while the exhale is a pure watermelon and candy sensation. It is muy delicioso! Cloud Nurdz, as said before, was an older e juice brand that has made their comeback. Right now they are one of the most popular brands on the market and every Online Vape Retail Store is trying to get their hands on their new flavors. At E Cigarette Empire they are one of the most popular products and with their watermelon flavor being the most popular out of all of them! Stop by our e juice brands page to see the rest of the awesome flavors that are carried here at E Cigarette Empire by Cloud Nurdz! We are going to switch gears a little bit here with the menthol favorite, Watermelon Frost. Watermelon Frost is by an e juice brand called Mr. Freeze. Mr. Freeze has specialized in the menthol flavor side of the vape juice game and they have done nothing but perfect this flavor profile. Every menthol lover that vapes has been praying for a brand like this and now their prayers have been answered! E Cigarette Empire has a lot of menthol lovers as employees here and whenever they are asked what their favorite menthol flavor is, the answer is always Watermelon Frost or another Mr. Freeze flavor. Watermelon Frost has the delightful flavor profile of a fresh watermelon beverage that has been chilled with menthol ice cubes. During the inhale you will experience and very strong watermelon fruit sensation with a small menthol undertone. Upon exhaling is when things are vice versa. The menthol is the main star during the exhale will a slight watermelon undertone which is genius if you think about it. This flavor profile allows for both flavors to become the main star during different stages! Take a pitstop at our e juice brands page and click on Mr. Freeze. Check out all of the delicious e juice flavors that this awesome brand has to offer! Hey! What’s up Dork Breath? Dork Breath may sound gross but the vape juice flavor by Geeked Out is one of the most tastiest watermelon flavors to ever be produced! Dork Break by Geeked Out has the flavor profile of a scrumptious watermelon lemonade and this flavor will never fade! Trust me on that! The inhale brings forth a strong and sweet lemonade flavor sensation that will have your taste buds tingling a lot. The sweet lemonade really primes the taste palate for the strong watermelon exhale. During the exhale is when the soft watermelon flavoring evens out the sweet inhale and also complements it at the same time! This is an experience to never pass up on! Geeked Out is the newest flavor line from the reputable brand Bad Drips Labs. Bad Drips Labs has been around since the beginning of vaping and they are known from the vape juices that come in the cool looking pill bottles. They have the reputation of producing some of the best tasting e juice flavors that this community has ever seen. Other flavor lines from this brand are Clown Premium Liquids and Director’s Cut. You can find Bad Drips Labs and all of their awesome flavor lines in our e juice brands category at the top bar of our home page! We wanted to end the Best Watermelon Vape Juice Flavors 2018 blog list by E Cigarette Empire with a huge bang and we have the perfect e juice flavor to do just that! Pink Squares by Candy King! Pink Squares is one of three new flavors to the Candy King flavor line and it is delicious! Pink Squares has the flavor profile of a soft watermelon chewy candy that will never fade even after years of continuous vaping! Both the inhale and exhale is filled with watermelon candy flavor that will have your mouth watering like a tropical rainforest storm! Candy King is one of the most known flavor lines in the vaping scene. They are one of the most sought after flavors in the world and definitely one of the top three most popular flavors here at E Cigarette Empire. Candy King is by an e juice brand called Drip More. Drip More produces tons of delicious vape juice flavors with Candy King being their finest baby! You can go to our E Juice Brands category on our website to see all of the spectacular Candy King vape juice flavors as well as all of the delectable Drip More flavors too!